Gill was born on 11th June 1919 in Southsea, England. When she was six, the Thomson family moved to Kenya and took up a farm near Kitale. Gill said she never saw much of the Country because every holiday it was impossible to leave the farm for one reason or another. Sometimes it was locusts and she remembers wading through swarms of them banging an old tin can in a vain attempt to get them moving. 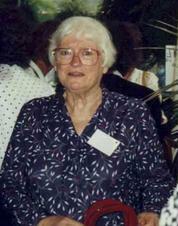 Gill was educated at the Loreto Convents, Msangari, Eldoret. She returns to London, Bedford College, where she obtained a general degree in English, Latin and Logic. She followed this with a diploma in Education at Reading University and taught a year at Shute School near Axminster. The Education Department brought her out to Kenya and sent her to teach in Eldoret for a year before she had an opportunity to join the Kenya High School Staff. It was perhaps fortunate that work was her main interest, since it took up most of her time. Saturday afternoons, however, would find her at the races and it is never certain how much of the midnight oil she burned over Latin corrections and how much over the detective stories with which she seasoned her more erudite reading. Until Gill became Vice Principal she had been housemistress of Nightingale House since her second term at the school in 1945. She had become the longest serving member of staff, which was the main reason she accepted the appointment of headmistress of a new Girl's Secondary School at Nakuru. The Nakuru Girl's School grew rapidly and gained a good reputation for its achievements. It was unfortunate that Kenya Independence in 1963 closed the school as Europeans left the Country. 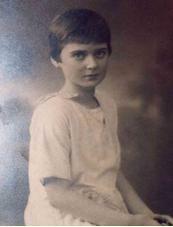 In 1970 Gill taught at the Holy Trinty, Convent, Bromley where she taught until she retired in 1981. Gill moved to Dover in 1977. 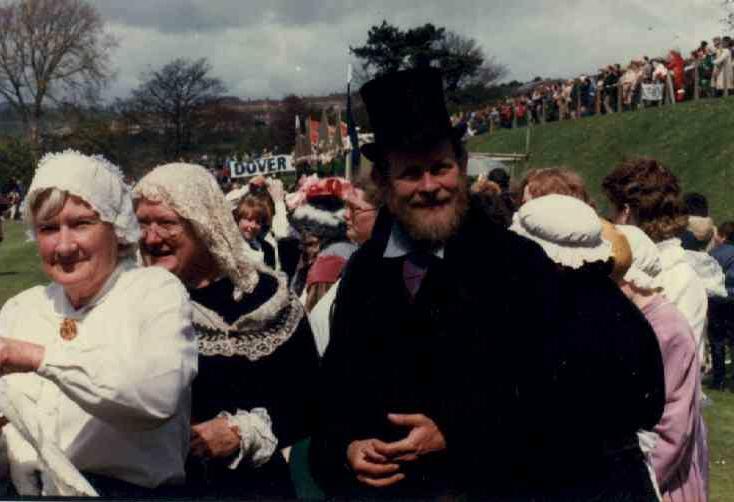 Dressed as Victorian lady in the 1983 Dover Pageant. Gill died of cancer on 10th March 1993. She suffered greatly in those last months of her life. Gill had many friends and was highly respected as a teacher and head teacher. I hope that some of the many pupils she has taught will make contact and share a precious memory.